A card magician’s, gambler’s, and collector’s dream come true! Out of production for a century, this nostalgic design has resurfaced in an even more spectacular style made with steel enforced brass, nicely accented with embossed edging and enameled suit pips. 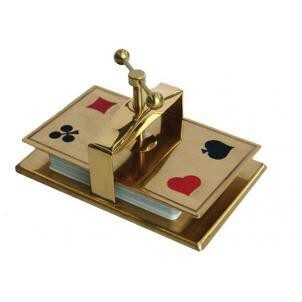 Its size can also accommodate most Tarot cards.